Playing Japanese children's games can be very beneficial for children in many ways. Origami, the art of folding paper into shapes such as a crane, requires both concentration and perserverance. The shape patterns differ in their level of difficulty, but if the child concentrates and keeps trying they can eventually create most of the patterns. 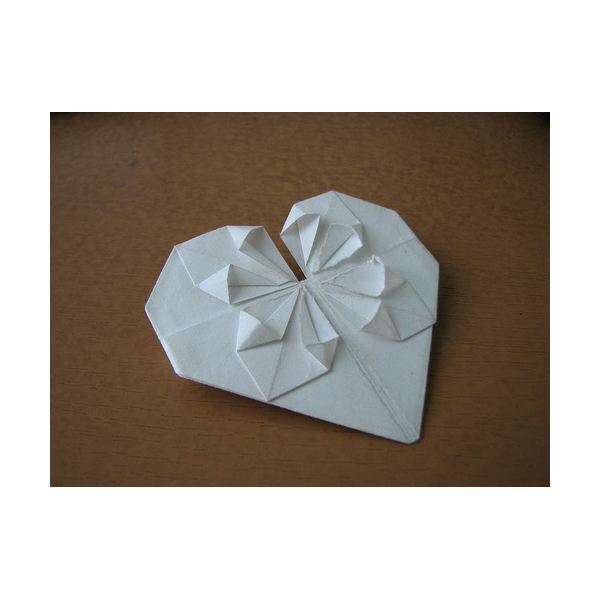 You can choose to use any kind of paper, but there is also paper specifically designed for origami. Take-uma is walking on stilts. Traditionally two bamboo poles with footholds were utilized for the game. Stilt-walking helps to improve both balance and coordination. When selecting a Japanese children's game to play consider the costs involved. Hanet-suki is a game that requires wooden paddles (hagoitas) for each person and a shuttlecock (hane). It is a similar game to badminton in the United States, but is played without a net. Today people like to collect the paddles because they are beautiful works of art and are believed to bring good luck. Hagoitas can be very expensive and hard to find. A hagoita market is held each year in Tokyo in December with over 50 stalls selling only hagoitas. There are many other Japanese children's games that cost little or no money yet are still lots of fun. Attempting to tag someone who is "it" on the back without them seeing you move is the basic premise of Daruma-san ga koronda. No equipment is necessary for the game, only players. Technically the words mean "the daruma doll fell over," but some people utilize the phrase "Mr. Daruma fell down" instead. Determine who will be "it". The person who is "it" tries to catch the other players moving. "It" yells "Daruma-san ga koronda" or "Mr. Daruma fell down" while facing the other players. The other players run as far away as possible from the person who is "it." "It" turns their back on everyone, closes his or her eyes and repeats the chosen phrase. The other players move as close as possible to "it" and freeze before "it" turns around. If the person who is "it" sees anyone move when they turn around, the players who are caught either join hands with "it" or go to a determined "jail" area. If a participant manages to touch the person who is "it" on the back without "it" seeing them move, the players who are in jail are set free. If you choose the traditional version where the players who were caught hold hands with "it", then the person who touches "it" on the back must try to chop the other players hands apart using the side of their own hand. If the "chop" is successful, all freed players except "it" must run away again. "It" yells "tomare" which means "stop" and everyone freezes. If the person who is "it" is able to tag any of the players by taking no more than three steps, the two players switch places and the tagged person becomes "it." Singing and playing janken (rock, paper, scissors) are combined in Hanaichimonme, the Japanese children's game where the eventual goal is to have all the players from the opposing team join your team. In janken, rock covers paper, scissors cut paper, and paper covers rock. The game of Hanaichimonme is meant to be played outside with many players. Divide players evenly into two teams. Each team forms a line and holds hands with their teammates while facing the opposing team. Janken is used to determine which team will go first by selecting one person to play for each team. The team who stepped back now sings "Makete kuyashii hanaichimonme" which means "We hate to lose." As they sing the team moves toward the first team, who then steps back. Each team then selects a player from the opposing team who they would like to join their team. The chosen players from each team play janken to determine who will join the opposing team. The winner of janken remains with their team while the loser joins the opposing team. Janken and singing continue until all players of one team have lost janken and joined the other team. Playing Ohajiki is similar to playing marbles. In Japan it is considered a "girl's game," but anyone can play it. The main objective of the game is to "flick" a playing piece into another in order to win the piece. Flicking is accomplished by forming a circle with your thumb and index or middle finger, and using a flicking motion with your thumb. The person who collects the most pieces at the end of the game is the winner. Long ago the Japanese used pebbles or pieces from other games to play Ohajiki, but in today's world the pieces tend to be made of glass. All players lay down an equal number of pieces on a flat surface. Use janken to determine who goes first. Only the first person scoops all pieces into one hand and drops them back onto the surface. Decide which two pieces you wish to use to hit one with the other, and show the other players what you intend to do (without actually touching the pieces). If you successfully hit the piece you wanted to hit, you win the piece and continue playing. You continue your turn until either you miss the selected piece or there are no more pieces to flick at. If you do not hit the chosen piece, it becomes the next person's turn. When all pieces have been won by a player the game is over, and the person with the most pieces wins.